Present-day location of Oxley Rise, 2016. Image courtesy of © Sng Kiat Peng, reproduced with permission. 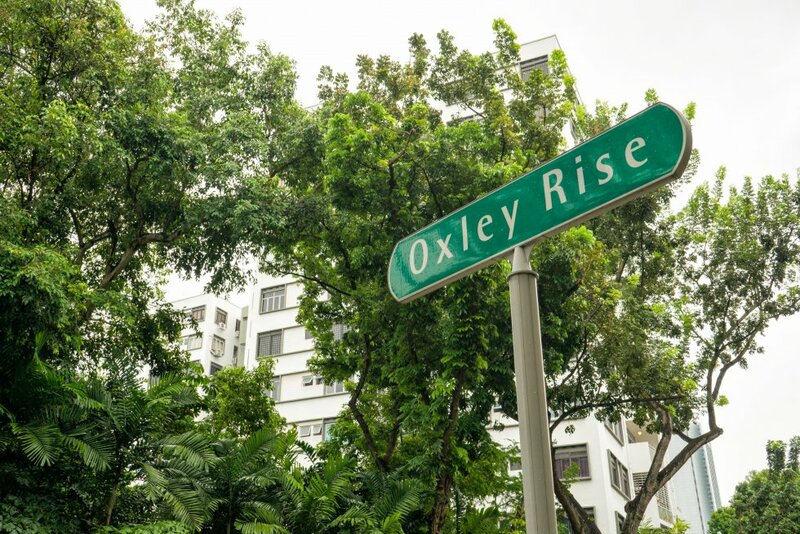 The three victims were ill-treated at the Oxley Rise Police Station in Singapore, where they were brought and held for three weeks upon being arrested in connection with helping Allied P.O.W.s escape. The defendants, members of the Kempei Tai, were charged with committing a war crime in inflicting such ill-treatment upon the victims. The charge alleged that this ill-treatment included the arrest, confinement, beating, torture and other maltreatment of the victims, as a result of which one victim suffered permanent injury while the others died. The accused persons were charged with either inflicting such ill-treatment directly, or indirectly (through planning, preparation, aiding, failing to prevent, supervising or controlling the acts that were committed). 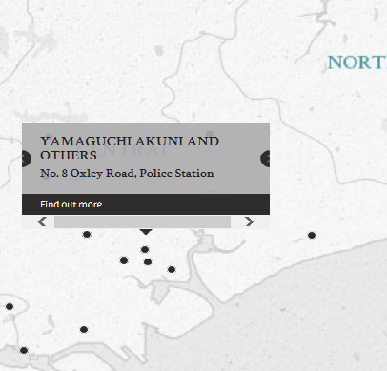 Interestingly, one of the accused persons, Yamaguchi, asked to be allowed to shoulder all the blame, claiming that as the officer in charge, he ought to have found the people responsible for the ill-treatment. While the proceedings were ongoing/being initiated, allegations were made by a Major Isaac of the HQ Field Security Service against the President of the court. These allegations were dismissed as lacking credence, and motivated by the Major's personal interests. Further, this is the first war crimes case in Southeast Asia Command where the accused persons were defended by officers from their own country. Yamaguchi, Akuni. Second Lieutenant. From Japanese military. From Japan. Guilty. Death by hanging. Sentence confirmed. Ikeda, Saiichi. Sergeant Major. From Japanese military. From Japan. Not guilty. Matsumoto, Mitsugi. Sergeant. From Japanese military. From Japan. Guilty. Death by hanging. Sentence confirmed. Uekihara, Susumu. Sergeant. From Japanese military. From Japan. Guilty. Death by hanging. Sentence confirmed. Shimomura, Tomohei. Sergeant. From Japanese military. From Japan. Guilty. Death by hanging. Sentence confirmed. Coleman, L.G. Lieutenant Colonel. From British military. Court president. Solicitor. Gray, W.H. Major. From British military. Kohli, R.D. Captain. From British Indian Army. Hibbert, A.A. Captain. From British military. Law student. Nakazono. Judge of High Court (Criminal) Japan. Toda. Judge of High Court (Criminal) Japan.